How To Get A Great Deal In Minneapolis | Your best resource for buying, selling, owning and investing in duplexes and duplex homes. A recent scan of the pending and closed duplex transactions in the Twin Cities since the start of the year stunned me. Now, nothing scientific here, just some observations. I haven’t done the math, but the majority of the pending small multi-family sales right now have an average number of days on market (DOM) in the double digits. Less than 100 days. Less than three months! Granted, there’s no way to know which of these were cancelled and re-listed at a lower price, but nonetheless, it’s encouraging. In the last month, several unique duplexes have come on the market in the “waterhoods”; those by the lakes or along the river. They’ve been listed at pretty big prices, and their status has changed to pending in just a month. I intended to get over to see a unique foreclosure duplex on the bluff in the Cherokee neighborhood of St Paul. 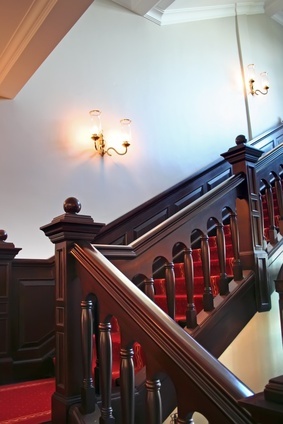 It had a beautiful banister, a widow’s walk, and was built years before most of the properties I get to see. At $409,000, I was sure I had plenty of time to get there. Wrong! Market time of a month. Another, a gorgeous home in the Kenwood area which had been converted to a fourplex lasted just 44 days. At a price of $674,000 no less. As I dug through the records of the properties that have sold and closed already this year, I noticed something interesting about the foreclosures. To illustrate, let me give you an example. There was a unique Queen Anne duplex in the Wedge neighborhood that lingered on the market all winter. When the bank first listed it in September, they did so at a price of $339,000. When that listing expired, they relisted it at $259,000. Now, a lot of people watch these foreclosures, waiting for the bank to reduce the price to ridiculous. I noted several properties where this had happened, and learned that almost without exception, they ended up selling for well above their asking price. I guess the bank’s agent had the forethought to put the property on the MLS at a price so low it could do nothing but start a bidding war. In those cases, the properties sold at prices $50,000 – $70,000 above list. In the case of the Queen Anne, however, a buyer wrote and had an offer accepted at $183,000, which is nearly half what the property originally came on the market for. That buyer got a deal because he or she had the courage to write an offer while others lingered, stalking the property until it couldn’t help but sell in a bidding war. Lessons? If it’s a unique property in good shape and a great location, write the offer today. Even in this market, it might not be there tomorrow. And, as I’ve said before, the only person who “gets a deal” is the one who wrote the offer.